You can hack freely what you want to create, as you feel and as you are. OIH All Night Hackathon in Katsuoji Temple is a hackathon mainly for people who aim to develop tech communities in Kansai. 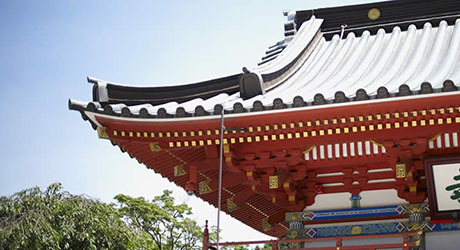 The venue is Katsuoji Temple located about thirty minutes by bus from Senri-Chuo station. You can participate in this hackathon like an overnight camp for development. You can work on your development in a comfortable space at the temple, with spacious training rooms and large baths. Though the hackathon will award no prizes to participants, there are few restrictions on them. We hope you will use this opportunity to tackle a difficult theme that you cannot usually handle or realize your long- cherished ideas. The program will be conducted in Japanese. The hackathon recruits some mentors as well as participants. In principle, conditions for mentors and participants are almost the same, and we hope experienced people who have participated in hackathons many times or those who operate their own communities join this hackathon as mentors and support other participants. According to Koryuki (an old journal), this is one of the Koyasan Shingon sect temples constructed in 727. Known as a good luck temple and Daruma doll temple since ancient times, it overlooks magnificent, picturesque panoramic scenery with beautifully colored trees in autumn throughout 260,000 square meters of the precinct. It has training facilities, which are widely used by companies and schools. Second day: Sep 17, Sat. 12:30 Participants meet together at the site. Third day: Sep 18, Sun. * If more than 50 people apply, participants will be decided by lottery. Thank you for your understanding. Sep. 12, Mon.⇨Sep. 16, Fri.
-Bath: 17:00-22:30 (free of charge), driers provided. 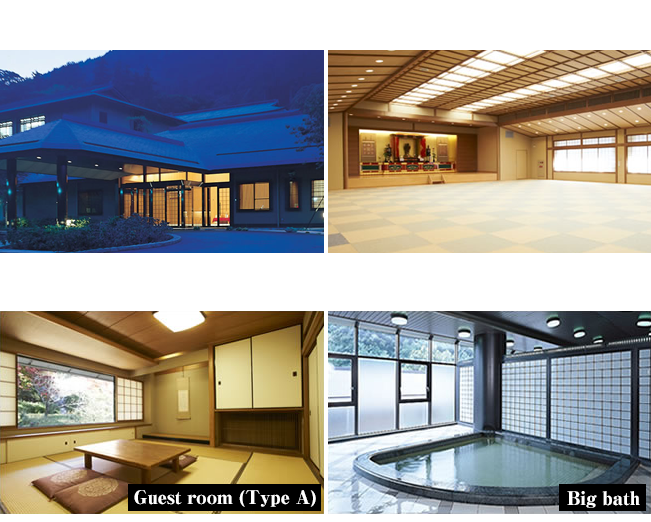 -Please be punctual, noting that the buses run about only once every hour from both Senri-Chuo and Minoh Station. Pictures and videos will be shot to publicize the event afterward. There may be interviews by the media. Please understand in advance the possibility that participants may appear in these pictures and videos. 2005: Started to engage in development of applications for corporations as one of founders of Lebe Inc.
2012: Started to host Super Hackathon. - Can I join the hackathon, though I cannot join the meeting on Sep. 3? Yes, you can. We will brief you on the meeting on the hackathon day. - Can I join the hackathon, though I can neither carry out development nor design by myself? Only those who are directly involved in development can participate in this hackathon. - Can I join the hackathon alone? We recommend participants to join as a team, but a single engineer can join it with no problem, and a single designer can join it by teaming up with other team with (an) engineer(s). - Can I join the hackathon with my friends or coworkers? Can we be a team? Yes, you can. You can be a team with your friends or coworkers. The number of team members should be 5 or fewer, because a team with too many people may not function well. - Can I use Wi-Fi? Yes, you can. But, wired LAN is not available. - What should I bring with me? Please bring an OA tap (supply tap) per team as well as PCs to use for development by yourself. - To whom will the presented ideas in the event belong? Ideathons, presenting only ideas on the way to development, will not be held in this event. There will be no time to evaluate or present only ideas. - To whom will the developed works in the event belong? The right for developed works will belong to each team who developed them, or each person who developed or designed them. We may show presented contents by each team to participants or on our Website. Please do not present what you do not want to be released. - Will we get prizes? No, this hackathon will not award anything. Participants will vote after presentations to decide a winning team. - If I become unable to join the event suddenly on the day, what should I do? Please contact us on the day. We will ask you to pay the participation fee, if you cancel your participation after Sep. 13 (Tue). Thank you for your understanding. -Can I join the hackathon without staying overnight? We ask all participants to stay overnight at Katsuoji Temple. We will provide each participant with a room for about six people, though there is no private room. *We will secure separate rooms for women. - Can I take a bath? - Can I bring food with me? You are allowed to bring snacks and sweets, but not meals. You can drink and eat snacks only in the designated area. -If I cannot develop my project completely, what shall I do? Please present your project as much as you can, even if you haven’t completed it. - Can I see projects developed by other teams? Participants can see projects developed by other teams after presentations before voting time. -Do I have to use API? Using API is not necessarily required, but we recommend that you use it, if you have yet to decide your ideas to develop. -Why do you recruit mentors? We recruit mentors widely to create a suitable environment for cooperation, as this hackathon is aiming to create and develop tech communities as well as for participants to compete with each other. -Will there be a social interaction meeting? A social interaction meeting will be held for about an hour after a winner team is chosen, until the event facilities are cleared away. Please pay the participation fee at the venue on Sep.17, Sat. We will charge those who have canceled participation after Sep. 13, Tur, the full participation fee as a cancellation fee. We will inform those who have canceled of how to pay individually. Agreement to the Participation Agreement below is needed to apply. We will ask participants for a signature on the Participation Agreement filled out with necessary items on Sep. 17, Sat. Thank you for your understanding. * Please understand in advance that personal information provided to the event will be shared with Osaka Innovation Hub (operated by Osaka Urban Industry Promotion Center) and Lebe inc./ Super-Hackathon.